If you want to try out Bariatric Complete Multivitamin then head over to their sample giveaway page and order it today by filling in the form with your valid postal details so that they can deliver it to you. 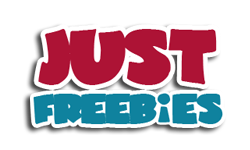 Click GET FREEBIE button and get yourself a free sample pack of Bariatric Complete Multivitamin. TummyZen Dietary supplement cures heartburn and is a must have in your medicine cabinet. Try a free sample by visiting their website, scroll down to end and request a free sample. Click GET FREEBIE button to go to TummyZen website right now and order free samples of their website. Burberry has got thousands of free samples of their new Blush fragrance to give away and you can try one by visiting their website and follow the link and claim this freebie. Click GET FREEBIE button to visit Burberry’s website now and order a free sample of their new fragrance. Nestea is giving away free bottles of their refreshing iced tea on their website. Just fill in the form with your postal details and they will send it to you. Click GET FREEBIE button to visit Nestea website and claim your free bottle of iced tea. You can get a free hot dog from nearest Pilot and Flying J by visiting them between 19 July to 26th July. This freebie is a part of celebrations for the national hot dog day. Click GET FREEBIE button to read about this offer right now on their website. Nikwax is giving away free samples of their Sandal Wash that cleans your sandals by cleaning off the dirt and removing the stinky odour. Just take a fun quiz and receive your free sample. Click GET FREEBIE button to get yourself a free sample of Nikwax sandal wash.
Chanel is giving away free samples of their Blue Serum which makes your skin look fresher and younger. Request your sample right now by filling in the form on their facebook page. Click GET FREEBIE button to go to Chanel’s giveaway post and request your free sample of Blue serum.